Murad Buildings | News | Why I decided to name the company as Murad Buildings? 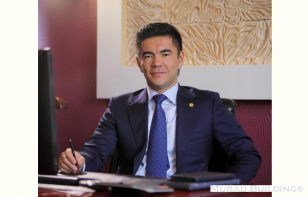 Why I decided to name the company as Murad Buildings? The word “Murad” originates from the Arab language, and means the “aspiration”, “desire”, “desirable”. Many people wish, dream and imagine the beautiful houses, where, together with their beloved families, they could live in security and comfort. Inhabiting the house of dream, we feel joy, happiness and pleasure from the fulfillment of our dreams. In view of the aforesaid, we will try to make our houses a source of such innermost feelings origin. Murad Buildings is translated from English as “Buildings of Murad”. Being a person, who loves to create, and have the ability to construct the reliable houses and being a son of my Motherland, I have the honor to present our creative products to the people and society. My life's mission includes such important point as to make a possible contribution to the accession of the country wealth, through the construction of the most beautiful and reliable buildings. Also, it should be noted that we always courageously install Murad Buildings logo at all of the buildings built under my authorship and personal supervision. Setting a long-term business it is very important to define the fundamental values and principles, around which the strategy and business ideas would be built. I clearly see my company for several centuries ahead. My name will not let me relax. Having ensured the reliability together with premium quality, my team and personally me will try to earn the trust of a wide range of customers! I cherish my name, value my reputation and take care of the quality of our buildings! Fulfillment for all of your desired dreams, dear friends!